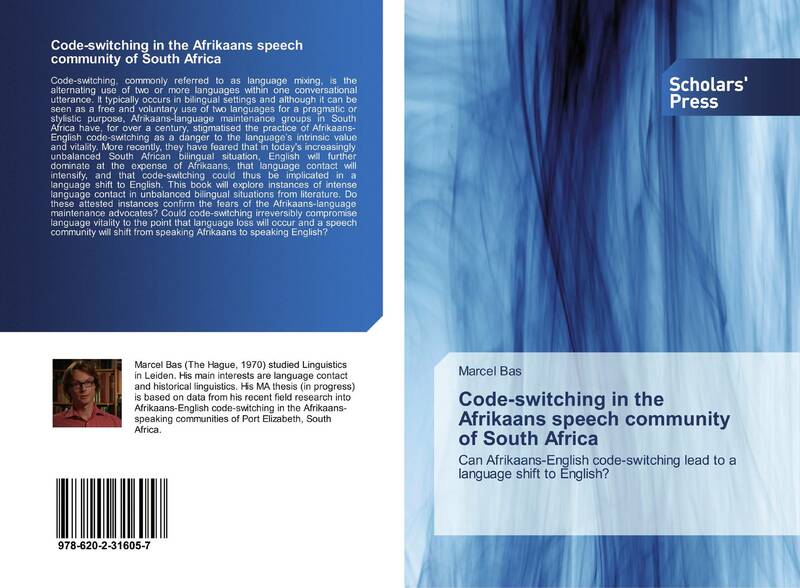 Can Afrikaans-English code-switching lead to a language shift to English? Code-switching, commonly referred to as language mixing, is the alternating use of two or more languages within one conversational utterance. It typically occurs in bilingual settings and although it can be seen as a free and voluntary use of two languages for a pragmatic or stylistic purpose, Afrikaans-language maintenance groups in South Africa have, for over a century, stigmatised the practice of Afrikaans-English code-switching as a danger to the language’s intrinsic value and vitality. More recently, they have feared that in today's increasingly unbalanced South African bilingual situation, English will further dominate at the expense of Afrikaans, that language contact will intensify, and that code-switching could thus be implicated in a language shift to English. This book will explore instances of intense language contact in unbalanced bilingual situations from literature. Do these attested instances confirm the fears of the Afrikaans-language maintenance advocates? 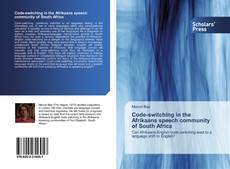 Could code-switching irreversibly compromise language vitality to the point that language loss will occur and a speech community will shift from speaking Afrikaans to speaking English?